One of the sad parts about researching historical places, is discovering that a beautiful building had been torn down. I was recently reading about Berkeley Square in London and became intrigued by one of the late Georgian era’s prominent homes, Lansdowne House. It was designed by renowned Scottish architect Robert Adam and located on the southwest corner of Berkeley Square. A fun fact about the house is that it was situated sideways, giving Devonshire House a direct view of Berkley Square through the gardens of both homes. Lansdowne House was originally designed for Prime Minister John Stuart, the 3rd Earl of Bute (1713-1792). Lord Bute was a tutor and a friend of the young Prince George. 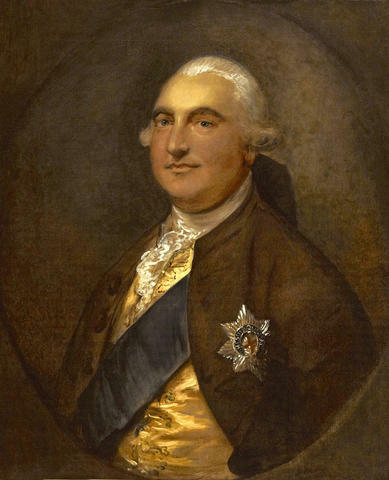 Upon George’s accession as King George III, Lord Bute was made Secretary of State. In 1762, he became Prime Minister. 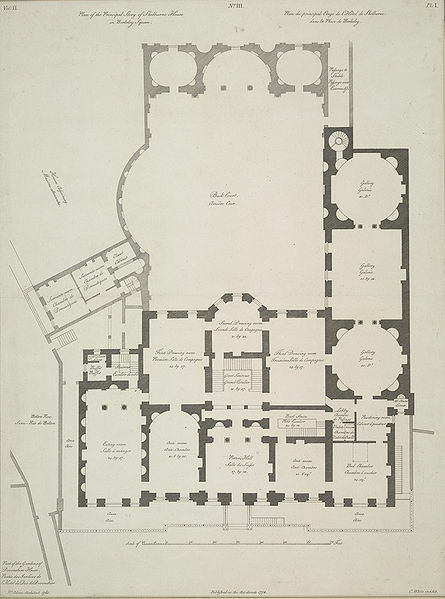 In 1765, Lord Bute sold the unfinished property to William Petty-Fitzmaurice (1737-1805), the 2nd Earl of Shelbourne. Lord Shelbourne was also a Prime Minister and was in power during the end of America’s War of Independence. The house was completed from Adam’s designs in 1768. 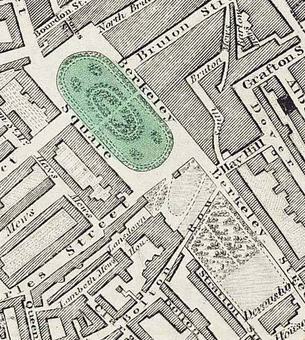 In 1784, Shelbourne became the 1st Marquess of Lansdowne, and the house became known as Lansdowne House. Lansdowne was a leading Whig statesman and his house became a meeting place for Whig social and political circles in the late eighteenth and early nineteenth centuries. The central block of the house stills stands at the corner of Fitzmaurice Place and Lansdowne Row. In 1930, two of the wings of the House were demolished, and it was converted into a club. 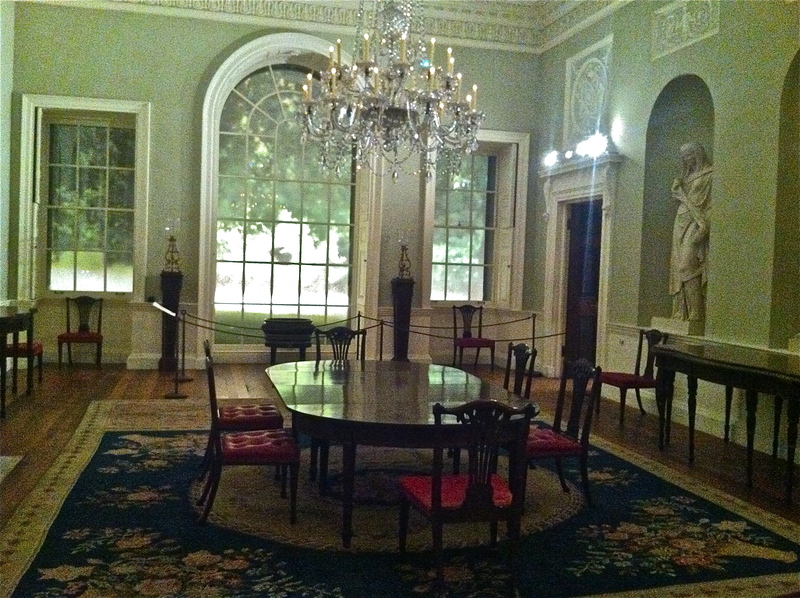 The dining room, or “Eating-room” as Adam labeled it, was in the south wing and was bought by The Metropolitan Museum of Art in New York City. 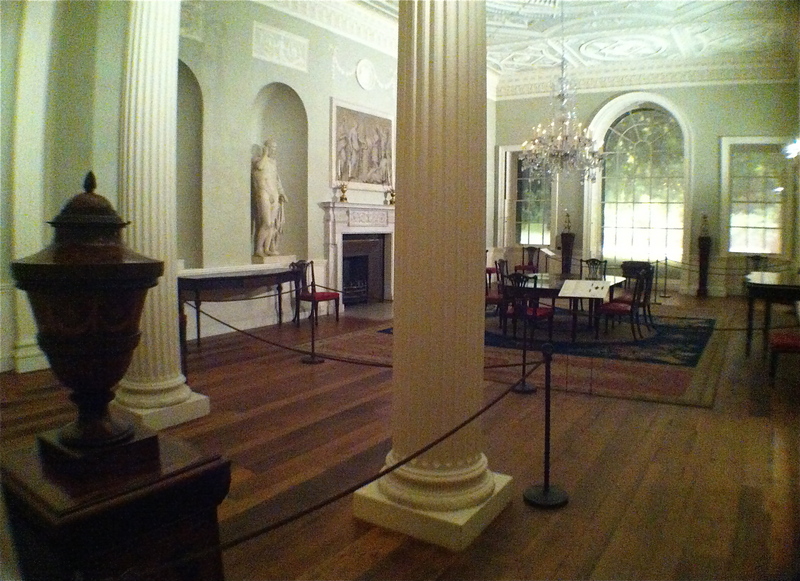 Owing to the restrictions of the space, the long walls were reversed when they were installed in the museum. 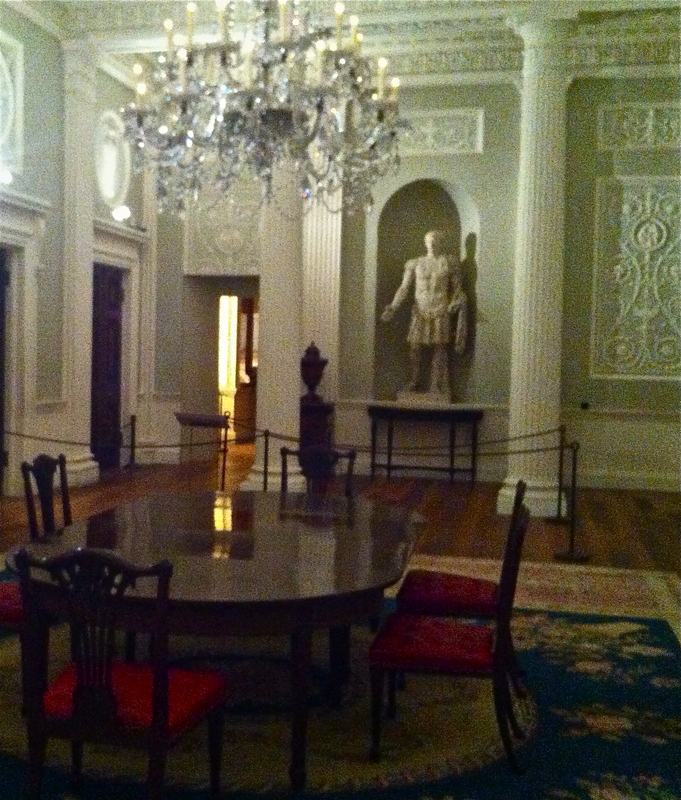 I have been lucky enough to visit this room on two recent trips to The Met. The dining room is the lower left room. 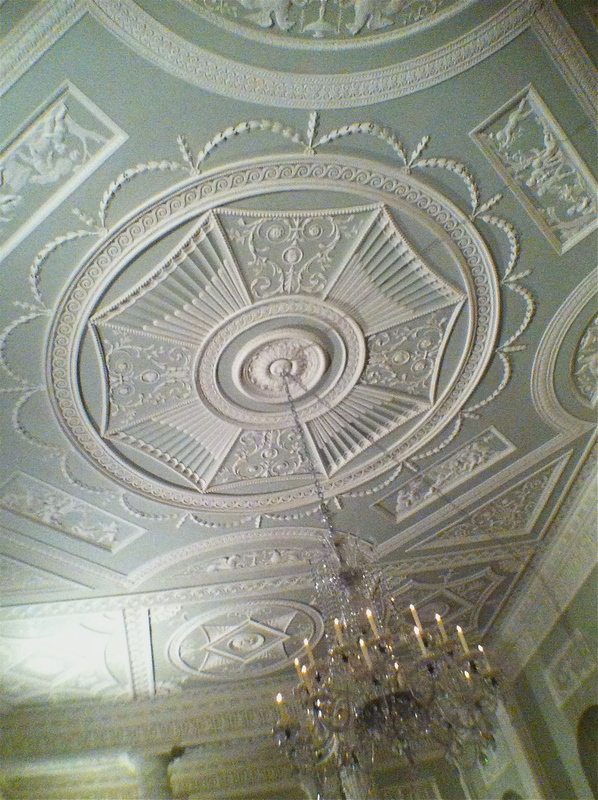 The ceiling was designed by Adam and created in plaster by Joseph Rose. 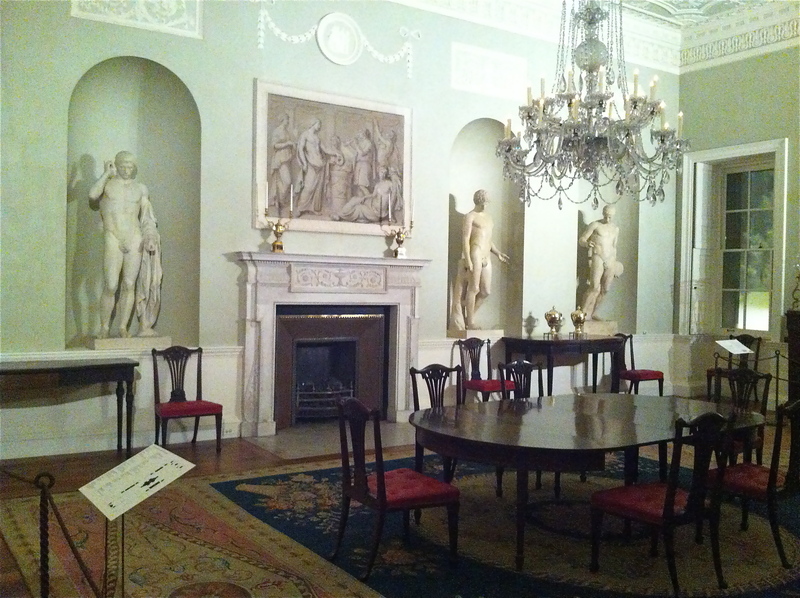 The carvings were executed by John Gilbert and the marble chimneypiece was supplied John Devall & Co., London. The oak floor in the room is original. 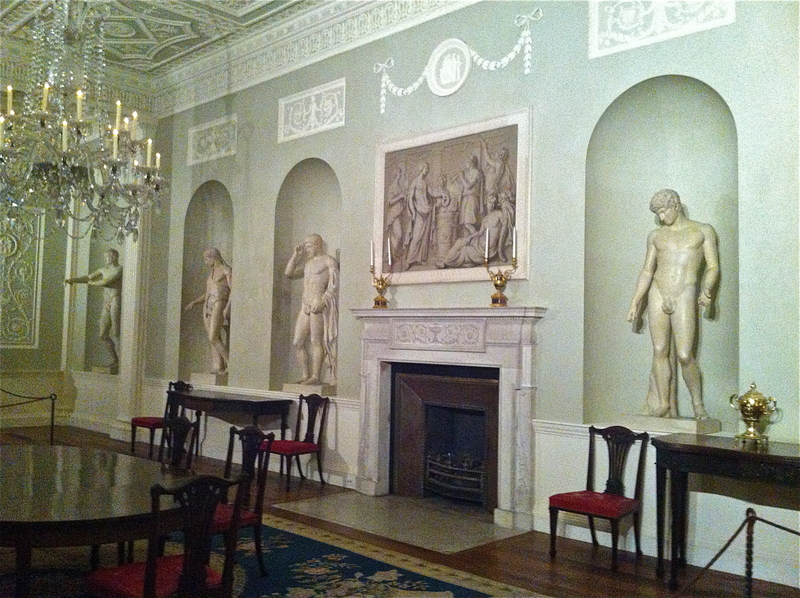 The niches originally held nine ancient marble statues acquired by Lord Lansdowne in Italy from the artist Gavin Hamilton. Unfortunately, they were sold off individually during the Lansdowne sale of 1930. The niches in the museum have been filled with plaster casts. Sadly, the original furniture that was designed by Robert Adam for this room and executed by John Linnell, no longer survives. However, thanks to museums like The Metropolitan Museum of Art, we are still able to take a peek at a room that would have been lost to us long ago. nice post–I love Lansdowne House! So cool! I used Lansdowne House as a reference in one my books. Now I want to go see it at the Met!